Delacorte Books for Young Readers, 9780385737333, 256pp. This fast-paced read will keep readers on the edge of their seats! Someone is killing boys in a small town. The murder weapon is a truck, and the only protection is a curfew enacted to keep kids off the streets. But it’s summer—and that alone is worth the risk of staying out late for James, Willie, and Reggie. Willie, who lost his arm in the first hit-and-run attack, finds it hard to keep up with his two best friends as they leave childhood behind. All of them are changing, hounded by their parents, hunted by the killer, and haunted by the “monster,” a dead thing that guards the dangerous gateway between youth and manhood. But that’s not all: shadowing the boys everywhere is Mel Herman, the mysterious and brilliant bully whose dark secrets may hold the key to their survival. As the summer burns away, these forces collide, and it will take compassion, brains, and guts for the boys to overcome their demons—and not become monsters themselves. 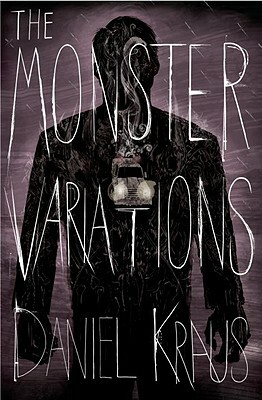 In this chilling and poignant debut novel, Daniel Kraus deftly explores the choices boys grapple with and the revelations that occur as they become men. Daniel Kraus is a writer, editor, and filmmaker. He lives with his wife in Chicago.